There are three main spokes on the financial industry wheel: consumers, creditors, and debt collectors. And each of these branches plays an integral role. Consumers rely on available credit to access services and goods they might not otherwise be able to afford, according to the ACA white paper The Role of Third-Party Debt Collection in the U.S. Economy. This includes home, auto, and education loans and healthcare coverage. They require these services from creditors who use a variety of factors to determine each customer’s risk level. After making a reasonable assessment of their credit worthiness, these customers are given a loan with specific terms. For a variety of reasons, many customers can’t repay their debts. That’s where the debt collection industry comes into play. Consumers may find themselves unable to repay their debts for a variety of reasons, such as health problems that prevent them from working or job loss. But for creditors to be able to keep giving credit to people in all financial situations, they must be able to recover the debts from outstanding accounts. 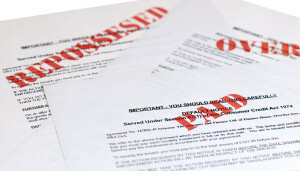 According to the ACA International white paper, the debt collection industry works in support of our credit-based economy by “recovering outstanding debts owed to creditors and service providers.” Debt collection agencies work for a variety of industries, with the bulk of the debt recovery efforts going toward student loan, healthcare, and financial services debt. In 2013, third-party debt collection agencies recovered approximately $55.2 billion in total debt. It’s not so far-fetched to imagine that many customers being contacted by debt collection companies might imagine a world in which this industry doesn’t exist. It’s an idyllic one where unpaid student loans are simply forgiven when the student finds he can’t get a job or the two phone contract is forgiven because a consumer only makes minimum wage. But the fact of the matter is that without this debt recovery, there would be no money for the next student who needs education funding or the next consumer who needs a new phone. The debt collections industry not only hold lenders to the high standard of giving good loans and having moral lending practices, but they also enable those same lenders to extend the same opportunities to the next person in line. So what would happen without that third-party collections agency? What might happen is that lenders, unable to recover overdue and unpaid debts, may assess the next customer in a similar circumstance to be a much higher risk because the previous customer defaulted on their debt. So when one student doesn’t repay their education loan due to difficulty in the job market, the lender might not have the funds to support the education of the next engineer who creates a whole new industry and thousands of jobs. Without the collections agency, and those hard-working agents who are highly trained to recover that debt, there might not be any credit available to those who really need it. And that would truly have a negative effect on the US economy.